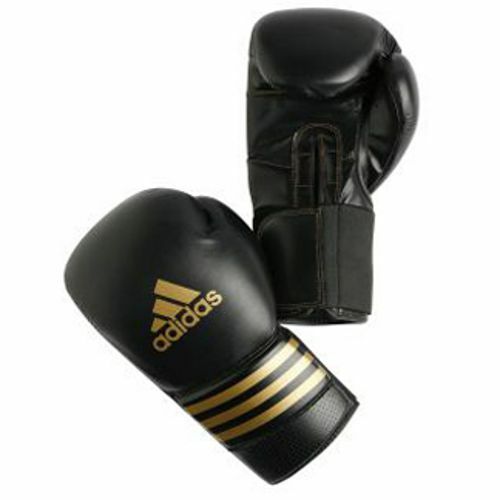 The Adidas Pro rigid cuff boxing gloves are made from a quality cowhide leather. The gloves have a rigid double cuff with extra padding made from high compression IMF foam. With a double elastic 10cm strap/Velcro closing, they guarantee secure fit. The boxing gloves look stylish with a gold Adidas logo and straps. for submitting product review about Adidas Pro Rigid Cuff Boxing Gloves.